Join Wendy on Fridays, October 12, 19 & 26 from 12-2pm. $85 plus materials. 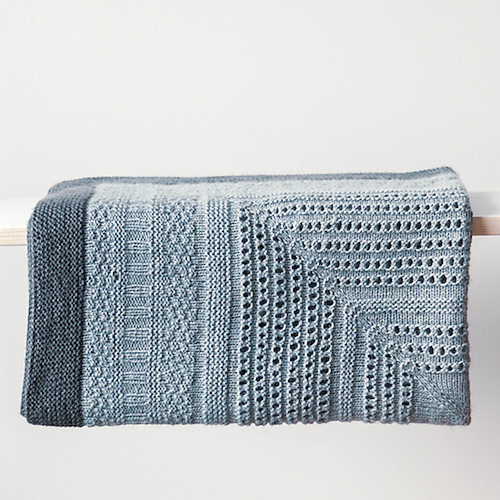 An unusual and eye-catching baby blanket with enough variation to keep your attention. This cuddly project has a fun construction, knit from the center out. Make a treasure for your little treasure.